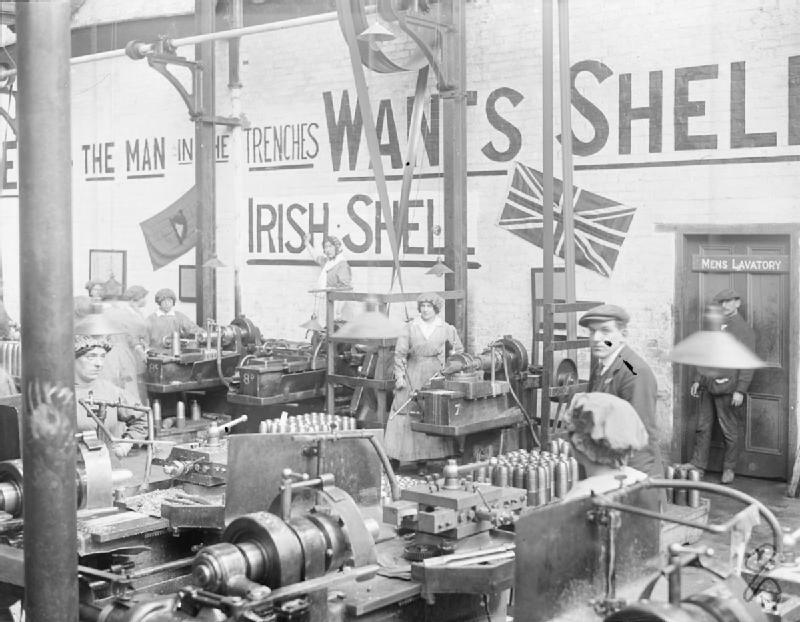 The National Shell Factories were built and run by the British Government, largely to meet complaints from the Irish Party and business that not enough war contracts were coming to Ireland. 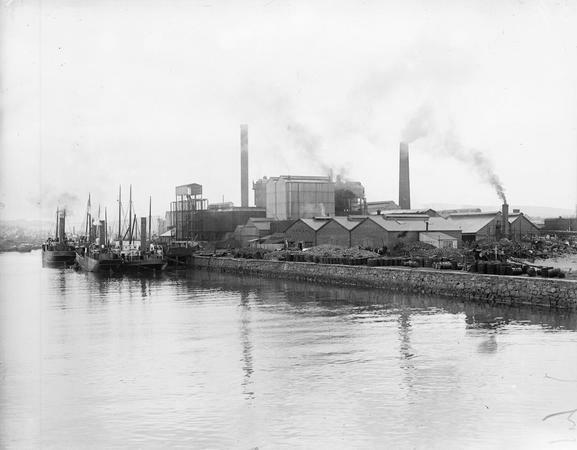 The first plant was on the present site of the CIE bus garage on Conyngham Road beside the Liffey in Dublin. 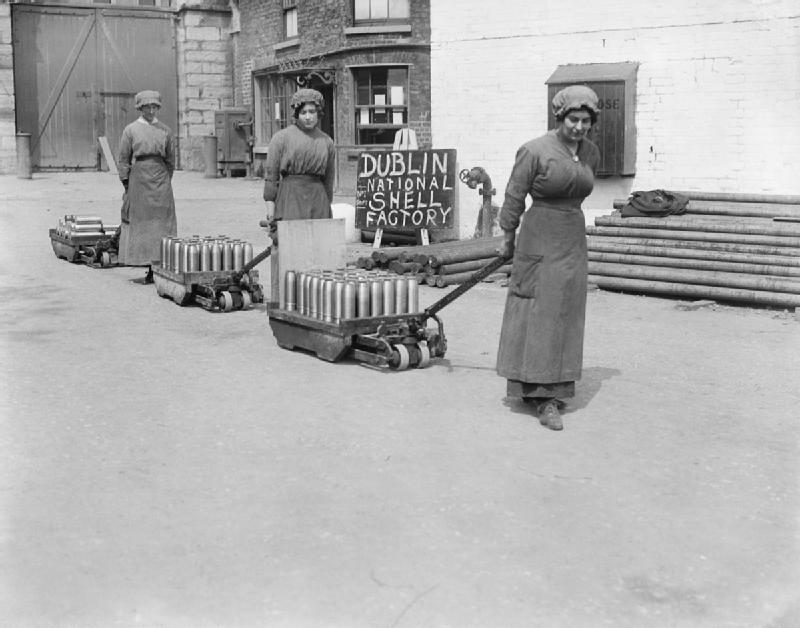 Other plants followed in Cork, Limerick and Galway. 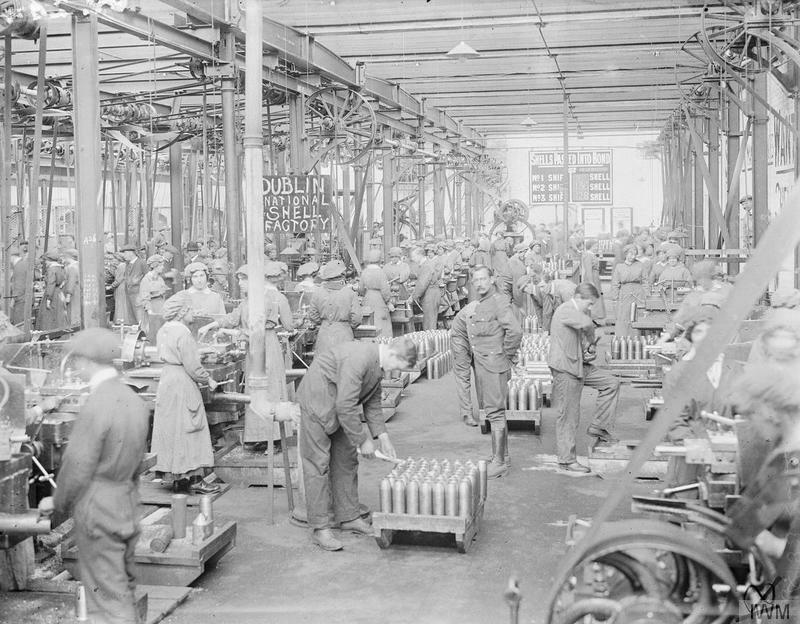 The Dublin plant was the largest, accounting for 80 per cent of output. 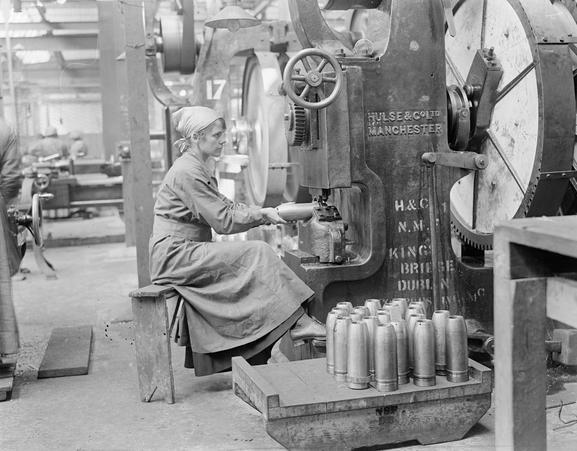 The factories were also unusual in that they were entirely industrial and virtually the whole workforce was female. 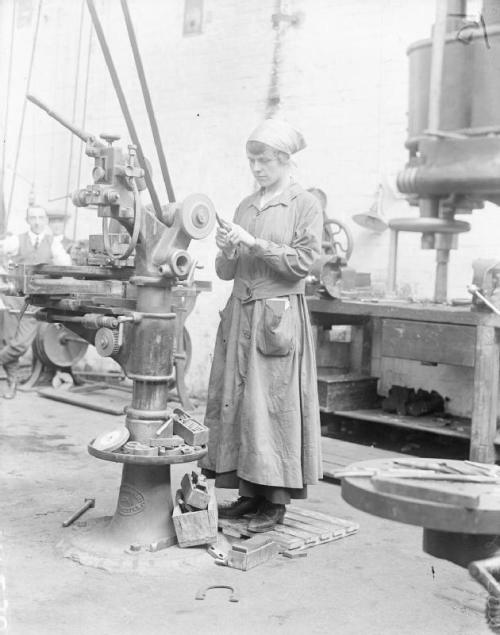 While basic wages were low, piecework enabled women to earn up to 60s a week, far more than most male manual workers. 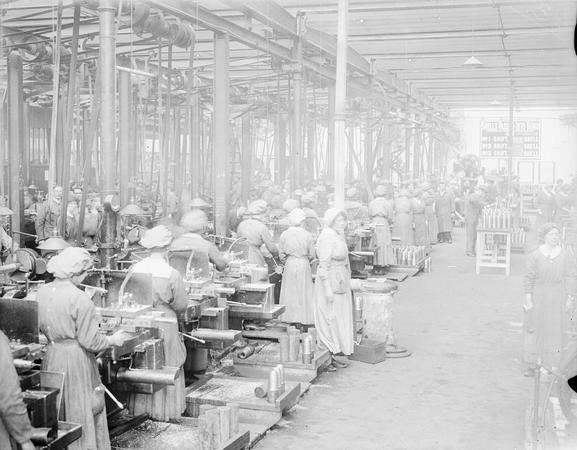 The damage caused by chemicals to their bodies was largely unknown at the time, and only manifested itself in the short term by sometimes changing the colour of their hair. 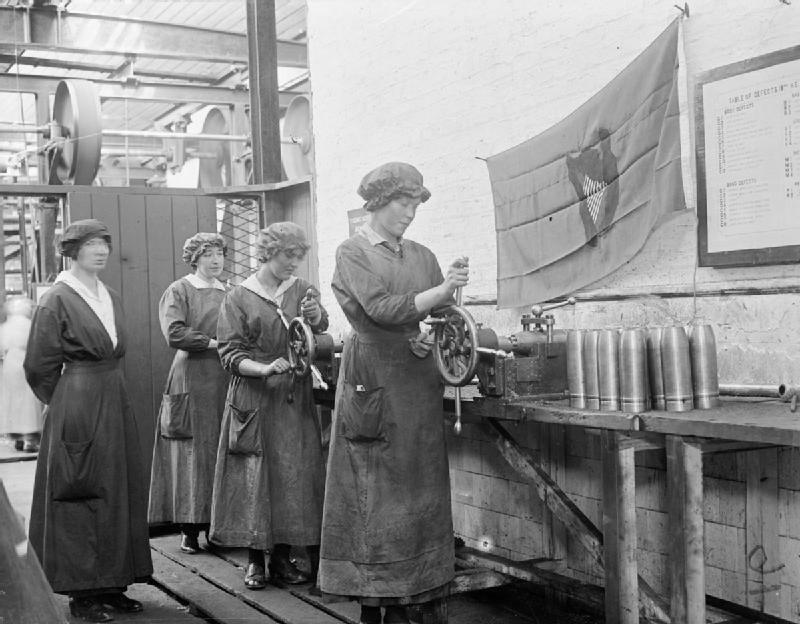 However, shifts were reduced from 12 hours to ten or eight hours when it was realised that excessive working reduced efficiency, output and stress – particularly for male managers worried at missing production targets.